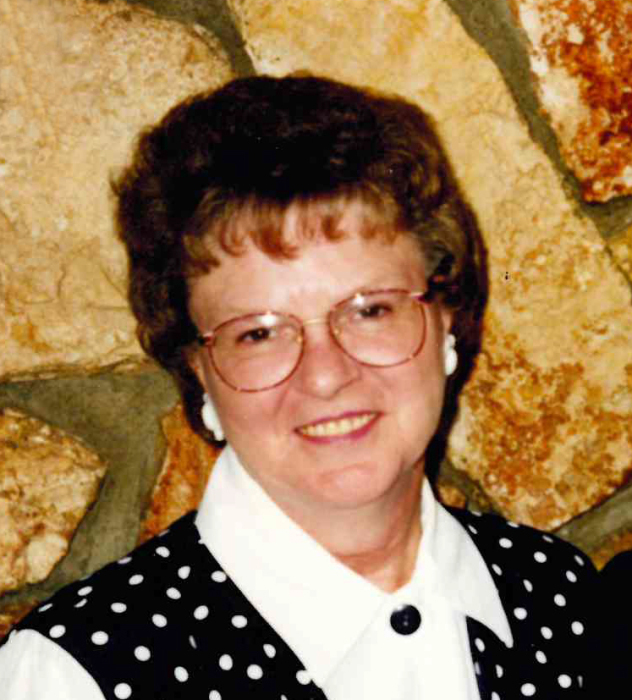 Eldora Sailer, 77, of Hazen, passed away July 3, 2018 surrounded by her loving family at CHI St. Alexius Medical Center, Bismarck, ND. Services will be held at 10:00 AM CDT on Friday, July 6, 2018 at St. Matthew Lutheran Church, Hazen, ND with Pastor Lester Wolfgram officiating. Burial will take place at 10:00 AM CDT on Tuesday, July 12, 2018 at the North Dakota Veterans Cemetery in Mandan, ND. Visitation will be held one hour prior to the service. Eldora (Miller) Sailer was born on July 13, 1940 to Emmanuel and Martha (Oster) Miller. She grew up on a farm north of Hazen and graduated from Hazen High School. Eldora married Levi Sailer from Stanton on October 31, 1959 and they lived in Stanton until 1966 when they moved to a farm east of Hazen. Eldora worked at the Mercer County Court House in Stanton until she took a job at Oliver-Mercer Electric (Roughrider Electric Cooperative) in Hazen where she worked until she retired. Eldora enjoyed gardening, canning, the Norsk Hostfest, family reunions, playing cards, listening to polka music and spending time with her four grandchildren and two step-children. Eldora is survived by her husband of 58 years, Levi; children, Curtis (Carol) Sailer of Hazen and Jason Sailer of Bismarck; grandchildren, Camden, Keaton and Medora Sailer of Hazen, Owen Sailer of Bismarck; step-children, Nicole Boehm and Zach Huber of Wahpeton; and siblings, Clarence Miller, Jean Ronholdt, Larry Miller, and Laura Mehlhoff. Eldora was preceded in death by her parents; and siblings, Clifford Miller, Eileen Keller, Edna Reinhardt, Ruth Ellwein, Walter Miller, Elmer Miller, and an infant sister. Arrangements conducted by Barbot Funeral Home, Beulah and Hazen.